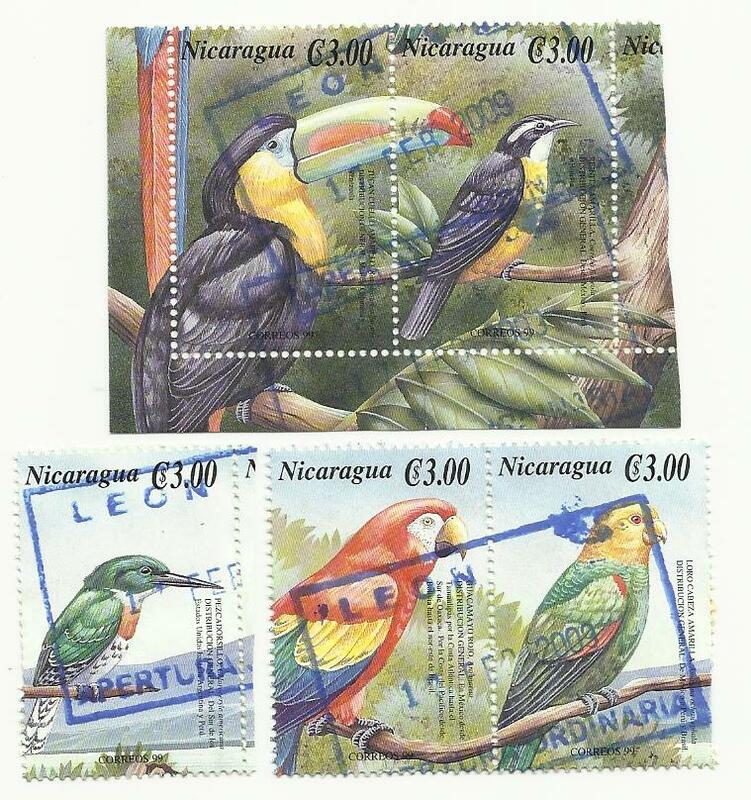 stamps from the Nicaragua Birds of America series issued 2000. Posted from Leon, cancelled on 17 Feb 2009 with a large blue rectangle. The names of the birds are above and below the stamps.